Physical activity provides long term benefits for your heart and general health. Investing in a personal trainer Calgary is the best gift you can give yourself – it’s an investment in your future. Whether you are in need of a lifestyle change, have sport specific goals or simply want to enhance your self confidence and appearance, I am eager to start working with you and guide you in the right direction. Optimum Health & Fitness personal training packages will be specifically customized to you and your personal goals. I currently reside here in the city of Calgary, Alberta, Canada and am available for one-on-one personal training, or group training in particular. Also – If you do not reside in this area, please refer to my “Online Personal Trainer” packaging to learn how I can bring your workouts and nutrition guidance to you from a distance. I work with clients of all ages and backgrounds, and with my experience in the health and fitness industry since 2003 I can assist you in reaching your ultimate goals and potential in the shortest amount of time. Above all – As a Personal trainer Calgary, NW, I am passionate about helping people sculpt their bodies into its best self. And it gets better, a better body brings improved self-confidence. Also, Self-confidence helps you crush fear so you can live the life you want. But you might be wondering how a fitness professional like me coaches each session rewarding you the best of results. Regardless of your fitness goals, you’re training program will be designed in comparison to your objectives, fitness level, injury history, likes and dislikes. You’re program design will be specifically aimed at your short and long term goals, this means each training session gets you closer to achieving new results. Well, research proves that a personal trainer holds you accountable to your goals and helps you achieve maximum results for minimum output. 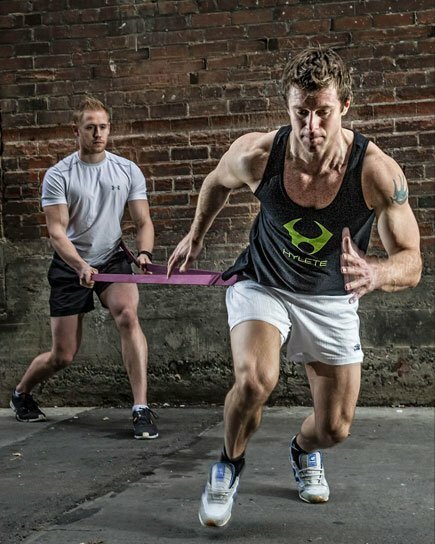 Subsequently, my unique functional movement style of coaching will maximize your time in achieving results. No more plateaus and weeks wasted on fad diets that simply don’t work. Just the results you want, the body you want, and a minimum time investment. My goal is to provide you with in-depth health and fitness knowledge that benefits you not just in the short-term, but for the rest of your life. Now you can improve your health and body under the guidance of a fitness professional for a safer exercise prescription. For the most part, you don’t have to be an Olympian or a millionaire to look and feel great. You just need the right strategy. Il help you develop a strategy that works for your body and schedule. Furthermore, I will guide you step-by-step to your short and long term goals, start by reaching out to me today. Im Located in the Kensington area (Near Downtown) at urban athlete gym – Feel free to check out my reviews and or visit my client testimonial page. Want more good news ? Lastly – let’s dive a bit deeper into why physical activity is so crucial in our stagnant 21st-century world included in the list below.